Michael Rosen was born in 1946 in North London. One of the best-known figures in the children’s book world, he is renowned for his work as a poet, performer, broadcaster and scriptwriter. As an author and by selecting other writers’ works for anthologies he has been involved with over 140 books. He lectures and teaches in universities on children’s literature, reading and writing. Michael is a familiar voice to BBC listeners and is currently presenting Word of Mouth, the magazine programme that looks at the English language and the way we use it. He visits schools with his one-man show to enthuse children with his passion for books and poetry. He was one of the first poets to make visits to schools throughout the UK and has also visited schools throughout the world. Michael Rosen started writing poetry when he was twelve years old, creating satirical poems about people he knew. His parents, who were both teachers and distinguished educators, were from the Jewish East End tradition, their parents and/or grandparents coming form Poland/ Russia/Romania. Michael attended Middlesex Hospital Medical School for a year but quickly transferred to Wadham College, Oxford to read English. At Oxford, he started to realise his ambition of acting (as well as writing and directing). Michael began looking outside the recommended reading to contemporary working class ballads. He retains a passion for street rhymes, popular songs and folk stories. Most of Michael’s books are considered to be for children but he started his career as a writer with a play, Backbone, that went on to the Royal Court in 1969. His next stop was the BBC, where he worked on Play School, Schools TV and radio dramas until 1972 when he went freelance. He wrote poems about his childhood published in 1974 as Mind Your Own Business. He quickly established himself with his collections of humorous verse for children, including: Wouldn’t You Like to Know, You Tell Me and Quick Let’s Get Out of Here. 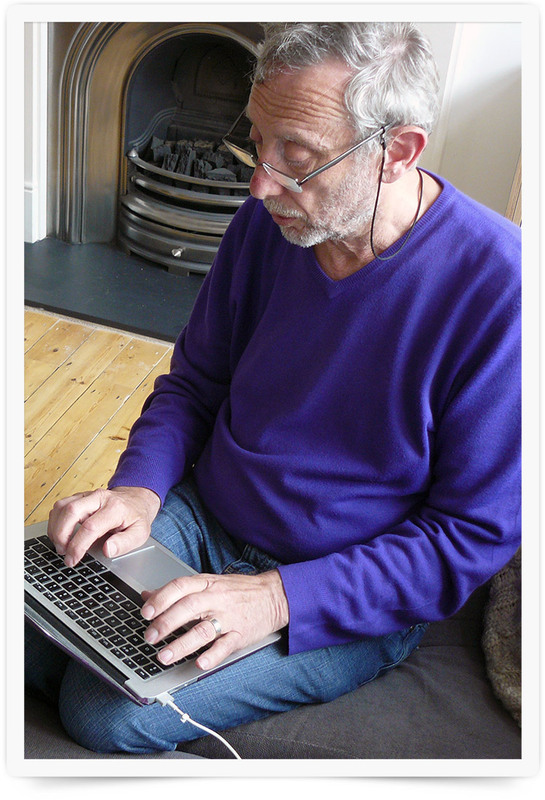 Poetry critic Morag Styles has described him as “one of the most significant figures in contemporary children’s poetry.” He was, she says, one of the first poets “to draw closely on his own childhood experiences … and to ‘tell it as it was’ in the ordinary language children actually use.” Michael Rosen’s writing for children appeals to all ages. He writes non-fiction, novels, picture books, retells classics and stories from other cultures as well as writing poetry. He has been shortlisted for and won many awards. You Can’t Catch Me won the Signal Poetry Award in 1982 and such is the enduring appeal of the poems that the book was re-issued in 2006 with Don’t Put Mustard in the Custard as Mustard, Custard, Grumble Belly and Gravy, illustrated by Quentin Blake (Bloomsbury). His classic picture book We’re Going on a Bear Hunt, illustrated by Helen Oxenbury (Walker Books), won the Nestle Smarties Grand Prize in 1989. The English Association awarded Michael Rosen’s Sad Book, illustrated by Quentin Blake (Walker Books), an Exceptional Award for the Best Children’s Illustrated Books of 2004, in the 4-11 age range. The book deals with bereavement, and followed the publication, in 2002, of Carrying the Elephant: A Memoir of Love and Loss (Penguin) which was published after the death of his son Eddie (who features as a child in much of Rosen’s earlier poetry) from meningitis in 1999. In 2004, This Is Not My Nose: A Memoir of Illness and Recovery, an account of his ten years with an undiagnosed underactive thyroid was published by Penguin. Michael’s recent publications illustrate the range of his output and interests and include books about Shakespeare and Dickens and a Selected Poems (Penguin) which includes some previously published poems, some poems for children and some new work edited so that the book follows a chronological sequence from his early childhood to present day. If you’re interested in reading about Michael’s family and the first 23 years of his life, he has written a memoir called So They Call You Pisher, published by Verso Books. A list of Radio & TV Programmes I’ve made.